Richard Feynman is a total badass, though maybe not in the way we traditionally use that term. We’re not talking about a grim, grizzled action hero in the Snake Plissken or Ellen Ripley mold. There’s no gun-slinging or alien fighting. No, this time we’re talking about more of a mad scientist, crazy genius kind of badass. 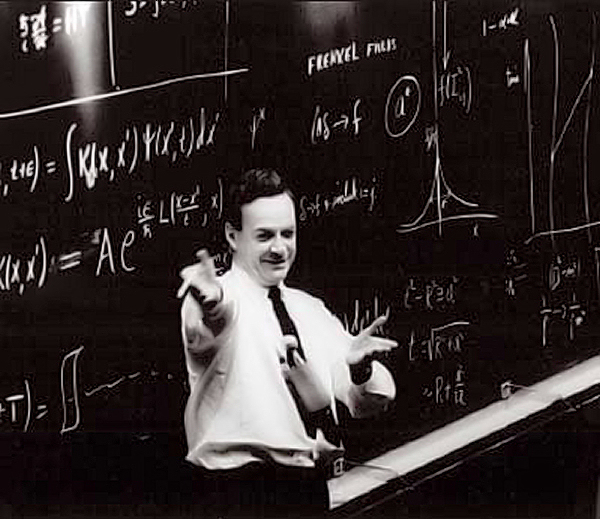 If you’re in the mood for some light reading—and by light, I mean theoretical particle physics, fluid dynamics, quantum mechanics, and more—you can now access his legendary Feynman Lectures on Physics online for free. And what better way to celebrate Labor Day Weekend than by diving into some quantum electrodynamics? 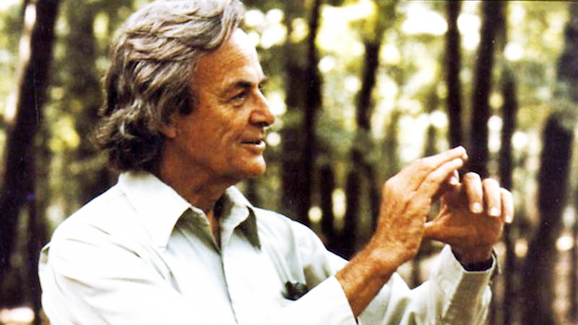 These celebrated lectures, which have previously been collected in various volumes and editions, are now online, again for free, and available to anyone with an internet connection thanks to the folks a the California Institute of Technology, where Feynman taught and did some of his most notable work. (Check them out HERE.) All three volumes are up for your perusal. There’s Volume I: Mainly Mechanics, Radiation and Heat, Volume II: Mainly Electromagnetism and Matter, and Volume III: Quantum Mechanics. Each one is broken down into chapters and subchapters galore. Like I said, light reading. Feynman worked with the likes of Robert Oppenheimer on the Manhattan Project developing the atomic bomb at Los Alamos, went on to a distinguished career in academia, most notably at CalTech, and even figured prominently in the commission that examined the Challenger Disaster in 1986. And as far as dense, academic science goes, part of his renown was that he was able to make it more or less accessible to those of us who may not be quite as smart him, which is just about everyone. However, as long and as fascinating and important as his scientific career was, it’s Feynman the man that endures. His personality is what made him such a fixture of popular culture. He wrote a number of books that straddle the line between science and autobiography, like Surely You’re Joking, Mr. Feynman! (which includes advice on how to pick up women at bars). A countercultural figure, he was never shy about expressing his opinions, which landed him in hot water a time or two. His interests extended from mathematics and physics to literature, art, and expanding human consciousness, among other avenues. To try to do him justice here would be to fail miserably. There are entire books written about him that don’t do him justice, so in a few hundred words I have no hope. But now that anyone with an internet connection can read his seminal works, you can at least explore one facet of this strange, beautiful, complex human being.